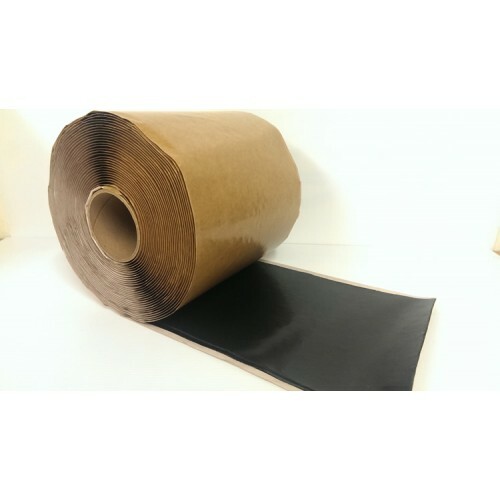 Firestone 9" formflash consists of a 229mm uncured Formflash, factory laminated to Quickseam Tape. The strip is designed to flash inside and outside corners, pipes, penetrations, drain outlets and any other awkward details. The EPDM surfaces and/or mating surfaces must be dry, clean, free from dust and be prepared with Firestone Quickprime Plus, Use of other products is not allowed. Restore the product to room temperature prior to use if exposed to temperatures below 15 degrees for prolonged periods. On cloudy days with ambient temperature below 15 degrees, the use of a heat gun is recommended to warm the Formflash and to ensure good formability. On sunny days, pre-heating of the product is usually not necessary. Apply Firestone Quickprime Plus to all areas to receive the Formflash using a . Allow the Quickprime Plus to completely dry before installing the Formflash, test for dryness by touching the Quickprime Plus with a clean dry finger. Remove the backing paper and carefully apply the Formflash to the pipe, corner, penetration etc. Quickprime Plus Must Be Used With This Product!